A soft bristle brush for cleaning many delicate surfaces. 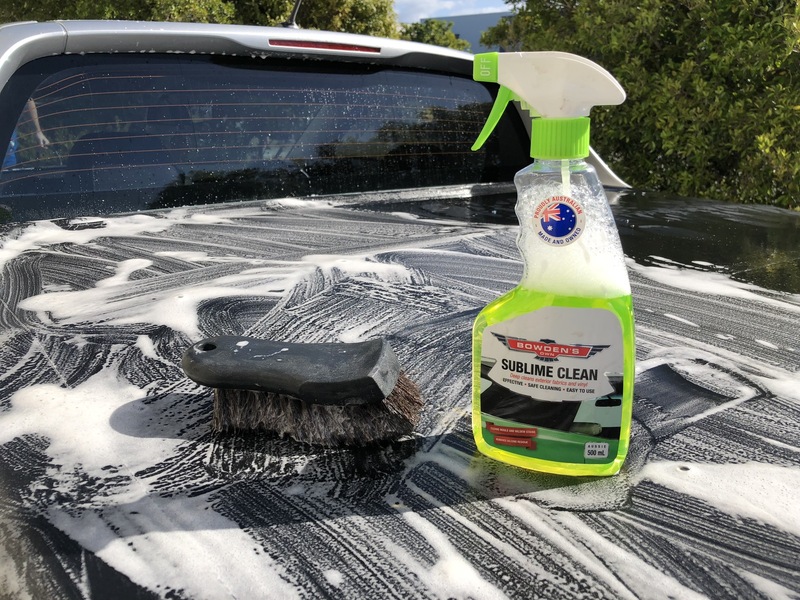 This high quality brush was custom designed for us by a great Australian brush maker for safe, deep cleaning of larger fabric, canvas or vinyl surfaces around your car, truck, caravan or boat. 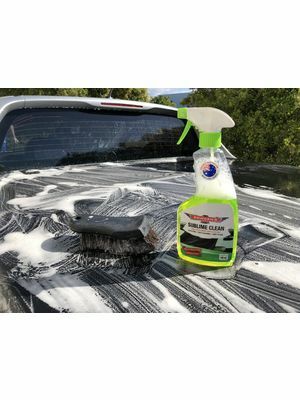 You’ll be delighted of its effect when combined with our speciality water based cleaners for your ute tonneau, convertible roofs (both fabric and vinyl), canvas, bimini tops, awnings and more. The brush's medium pile, dense horsehair is soft, but super effective for deeper cleaning without being aggressive enough to create any damage. The contoured and ergonomic brush design helps make those bigger jobs much easier. 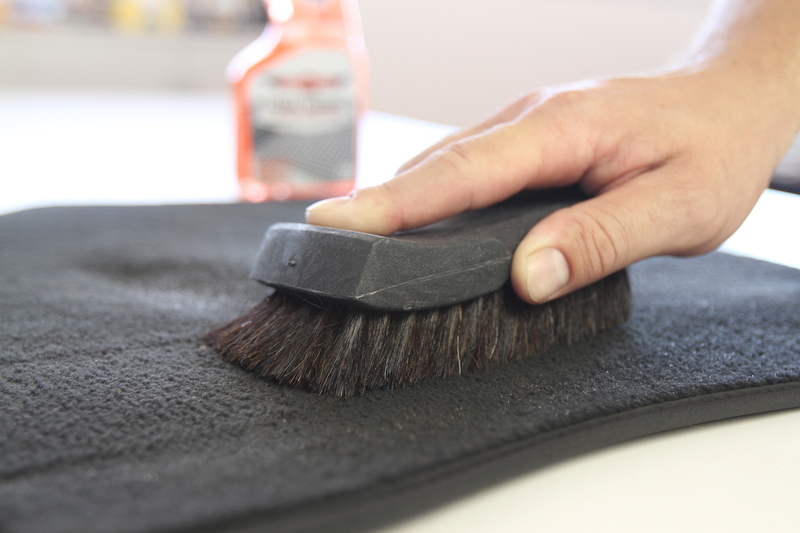 You can also use this brush on any sensitive interior vinyl, leather and plastic surfaces as well. 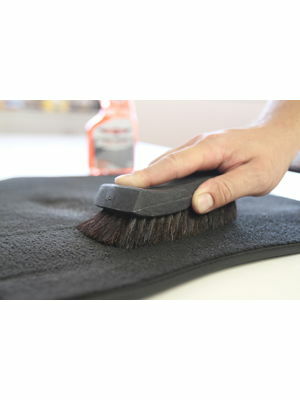 We also like to use this with the application of our fabric protectant to Microsuede / Alcantara. This brush has been made to last, to give you many years of great detailing and we are sure you’ll enjoy as much as we do. 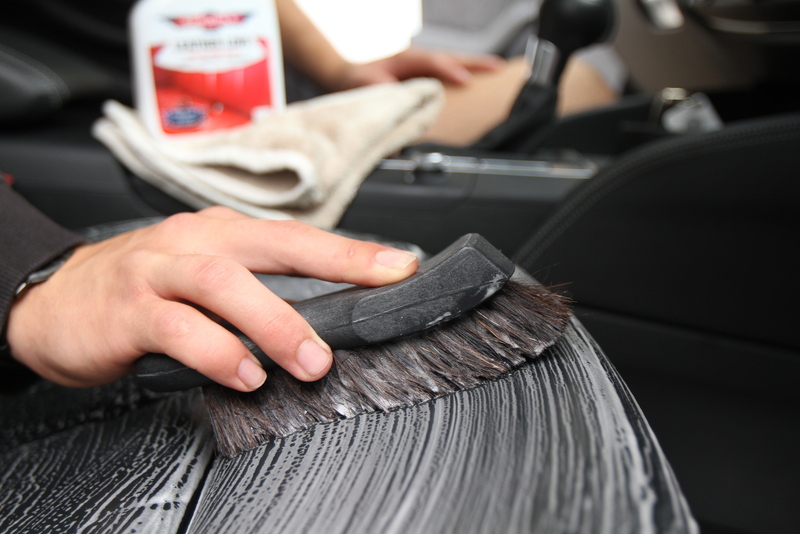 Soft, dense horsehair for epic, yet safe cleaning. Solid plastic construction, for many years of happy detailing. Contoured edges for hard to reach areas or edges. Ergonomic design, to better fit your hand. 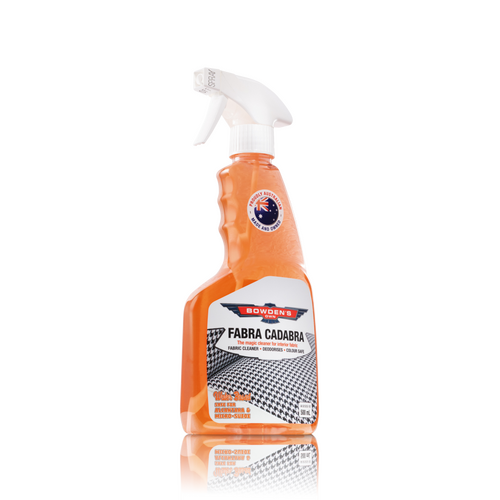 Using Fabratection to protect your cars different fabric trims. 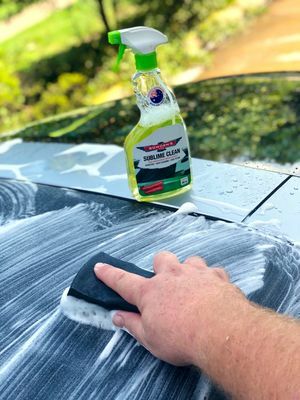 Convertible fabric soft top cleaning & protection. The original salt free wash, for a rich and gentle clean.